SKA Global Headquarters, Jodrell Bank, UK, 15 April 2019 – The first ever image of a black hole released by the Event Horizon Telescope (EHT) Collaboration was made possible thanks to VLBI, a technique the SKA will take full advantage of. One of SKA Organisation’s astronomers was also involved in the results. SKA System Scientist Dr. Robert Laing was part of a global team of more than 200 researchers involved in the result, and he co-authored two of the six papers published in The Astrophysical Journal Letters (the summary and instrumentation papers). The announcement which was broadcast around the world was also shown at the SKA Science Conference taking place at the same time in Cheshire. 300 astronomers from 20 countries, including some who were involved in the EHT results, gathered to watch the live announcement. 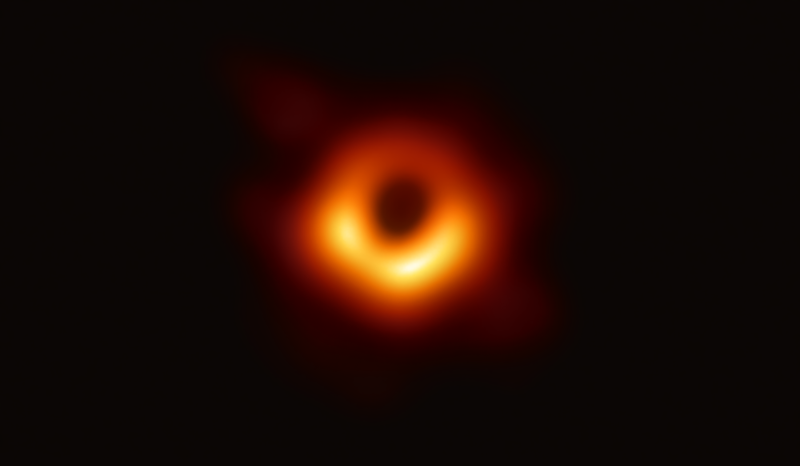 “This is the first image of the shadow of the event horizon of a black hole around the nucleus of a galaxy called Messier 87. It’s confirmation that what we believed about black holes is really true,” Dr. Laing said on the sidelines of the meeting. The EHT observations were made with eight radio telescopes spread around the globe, using a technique called Very Long Baseline Interferometry (VLBI). By combining the signals from telescopes observing the same object at the same time, but from different locations, the effect is like observing with a radio telescope the size of the Earth. VLBI is a technique that the SKA will contribute to in the future. 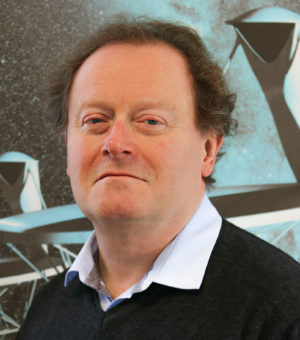 Dr. Laing previously worked for the European Southern Observatory on the ALMA telescope project, which was one of the key facilities in the EHT observations. Read more on the Event Horizon Telescope website. Listen to Dr. Laing and SKA Organisation VLBI expert Cristina Garcia Miro discuss the result, and the potential synergies between the SKA and EHT, in the video below. The SKA Organisation congratulates all those involved in the result, which represents a landmark moment for astronomy.